Part 2 - So .... what's the web traffic development roadblock? In part-one of this four-part series I laid the foundation for the creation of sustainable web-traffic explaining the importance of the website. It's pretty logical - if a business deploys a poor quality website then there's not much point trying to develop traffic to that site. It's also pretty logical that, if an investment's been made to develop and deploy a world-class website, unless there's a parallel strategy to develop traffic to that site, then the investment is likely to be a waste of money. In the second of this four-part series, I'm going to explain the importance of content as a requirement for developing sustainable website traffic and as the foundation of successful e-commerce for small business. A typical mistake made by resellers in the office products vertical with regards to their websites and their web strategy is to focus only on the product catalog and the selling of products out of that catalog. The failure here is to understand that only a small percentage of web-traffic is ready to buy at any particular moment in time. If all a reseller does is to continually "go-for-the-kill", aggressively promoting products in its catalog, then it fails to cater to the much larger segment of web-traffic that may be looking for something else at that particular moment in time. Firstly, educating a relevant audience and specifically with regards to the office products industry. We are part of a very large market - $25 billion spent per year in the United States alone on ink and toner. Probably upwards of $50-60 billion spent annually on all office products. Not much argument ... this is a large market and there's no shortage of material to create relevant content about! The two largest retail players serving this market are DepotMax and Staples. Between them they have nearly $40 billion in global sales and over 40% of these sales are online. This equates to $16 billion in e-commerce. There should be little argument with regards to whether or not buyers of office products are willing to conduct a significant portion of their business online because they already are, with combined site traffic of 1.2 million unique daily visitors. Of course, there is an undeniable link between e-commerce and web site traffic. How can a small reseller intercept some of this traffic and start to compete effectively with organizations such as DepotMax and Staples? Typically, this is where the second mistake is made. It's not difficult for a reseller to look at sites like DepotMax and Staples and it's not too difficult to copy their format. However, this is usually where it all goes wrong for a small reseller. I'm continually advocating the importance of content on a resellers website for the purposes of establishing trust and authority as well as for the purposes of educating site visitors - such as researching buyers. However, it’s notable this type of content on websites such as those deployed by DepotMax, Staples, New Egg, Tiger Direct, Amazon, Wal-Mart, etc. appears to be absent - at least on the surface. Because it's likely many independent office products resellers looked at these competing e-commerce sites and then attempted to replicate them, they have overlooked the requirements for the type of content that’s required for them to develop a successful web strategy. Copying the strategies and tactics of large organizations simply doesn’t work for small independent resellers. By failing to create content for the purposes of educating the target audience and for building trust and authority the small resellers web strategy is fatally flawed. Large organizations with successful e-commerce have many other factors in their favor that allow their strategies to work, which I'll go on to explain in Part 3 when I deal with the "science" underlying internet traffic. For now, I'll continue to focus on the importance of the content component for a small independent reseller and its web strategy. For a large industry there's a remarkable absence of content "about" the industry. Internally, we focus on the aftermarket and lament the declining aftermarket share. There’s a focus on the challenging market conditions and there’s intense competition between the office products dealer, driving aftermarket prices down and damaging longer-term viability of the aftermarket. The fact that there’s a $20 billion growth opportunity on ink and toner office supplies alone is mostly ignored. For the most part, the aftermarket hasn’t earned the right to participate in the $20 billion growth opportunity because it hasn’t deployed strategies that are necessary to earn the respect and trust of researching buyers before they’re likely to seriously consider alternatives. The industry has failed to use the tools and platforms that are available to demonstrate to researching buyers that they’re experts and that they deserve consideration. The aftermarket has collectively failed to earn its way into the $20 billion growth opportunity explained in part-one. Instead, despite availability of high quality alternatives, the aftermarket has mostly sat back and allowed the OEMs to publish their material spreading fear, uncertainty and doubt about the aftermarket alternatives unchallenged. Unfortunately, creating high quality content that's strategically published to target buyers that may be researching long before they're ready to make a buying decision, is not easy. In fact, the requirements are typically overwhelming for a small business, especially when it's factored alongside the challenges associated with developing web traffic. Creating content with a strategic purpose takes even more time. Investing time for content and establishing a parallel strategy for developing web traffic requires more time. For the most part, independent resellers simply don't have this time available. 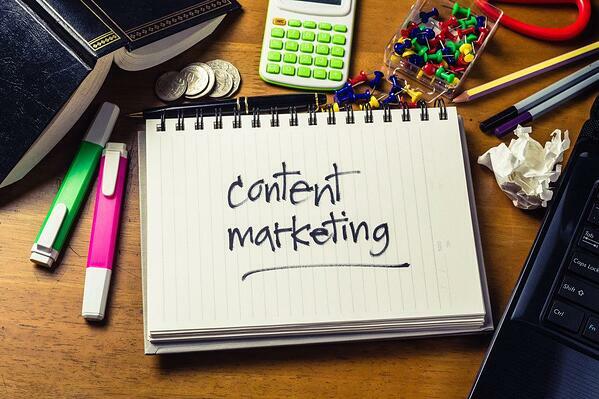 Furthermore, and significantly compounding the time allocation dilemma, most of the skills required for creating and effectively publishing content and for developing web traffic are outside the capabilities of the typical reseller in the office products industry! This is not an encouraging combination and helps explain the underlying failure of small independent resellers to establish effective e-commerce and to take part in the $20 billion growth opportunity. In the third part of this 4-part series I'll explain about the challenges of web traffic development and in the fourth and final part I'll present an option for a solution that's designed to help overcome the dilemma explained here. To download a free PowerPoint on this subject, recently presented at the Recycling Times Media Summit, please click on the link below.